To allow this program to work there are a small number of financial expenses. However, the minor expenses are well worth the benefits the children will be receiving! Therefore, to make this project happen we simply need sponsorships for the following items. Thanks to a program called First Book we have access to brand new books for 35 cents each! Endurance for Education has been awarded 298 books at this price. As a part of the program each child will write weekly about their experience with the daily exercise. The last writing will be about the books that they received which will have to be mailed due to giving them time with the books and the program ending. This means we will need to purchase 60 stamps. For less than $150 dollars we will be making a difference in approximately 60 students' lives! This program will help students create new healthy habits and give them the resources to improve their reading! 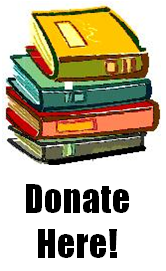 Each dollar you donate will provide 3 new books to students! Take a moment to make a difference today!